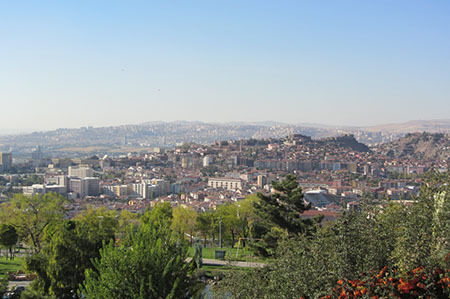 Number 3 in the family and this one is located atop one of the hilltops surrounding the city. 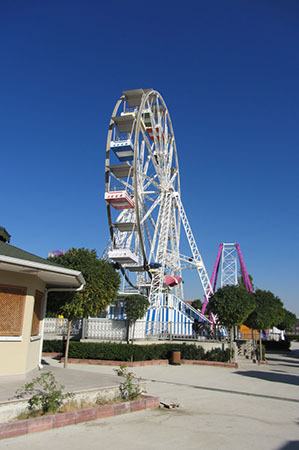 The view up here was amazing and they'd definitely done the right thing in including a big wheel in amongst the rides. The coaster here was yet another dragon ride. 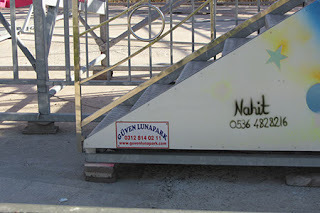 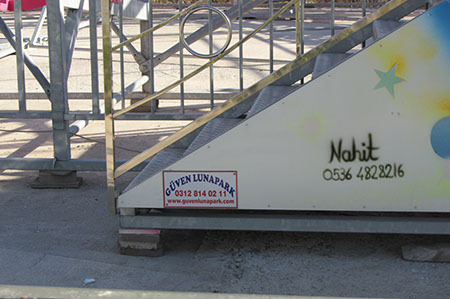 Some chap called Nahit seemed to have the monopoly on the spray paint livery on the rides in Turkey. 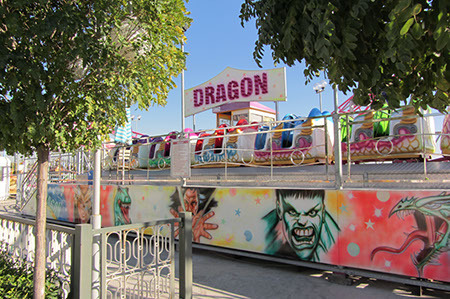 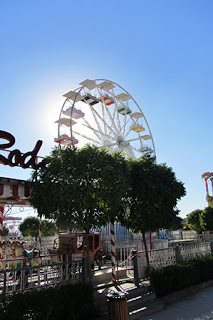 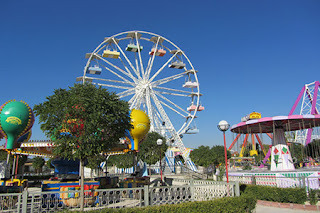 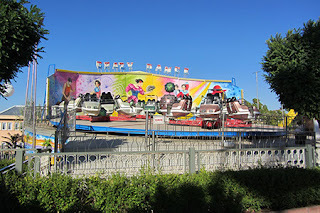 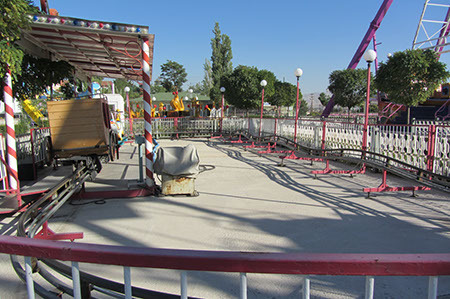 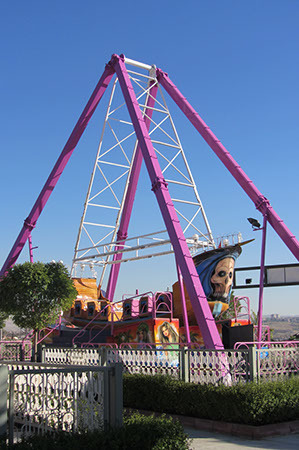 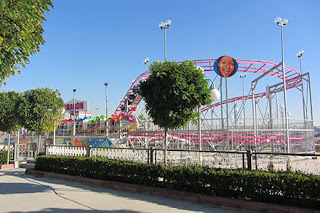 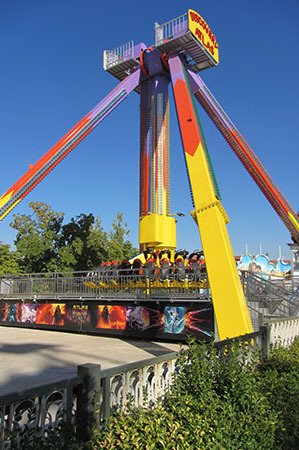 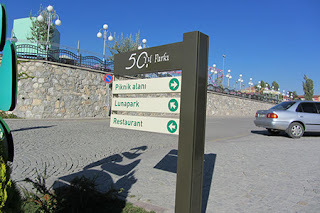 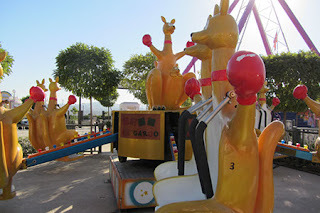 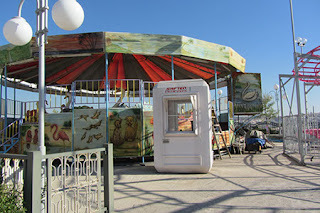 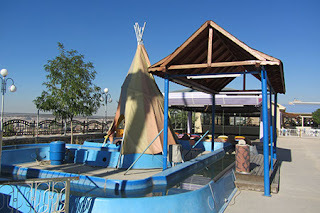 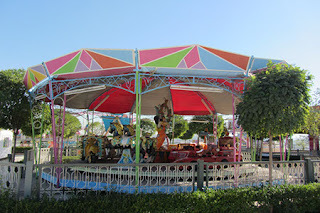 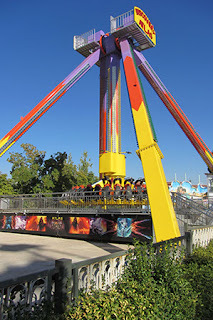 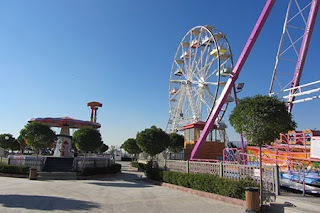 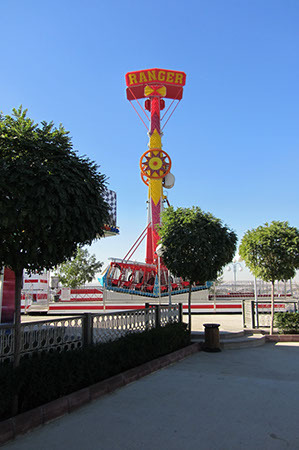 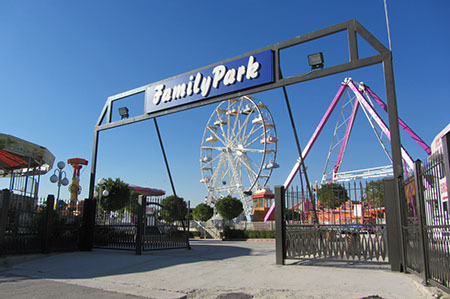 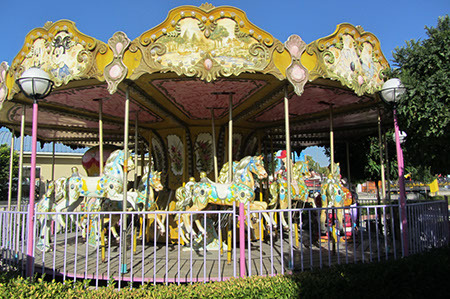 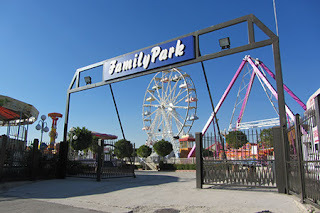 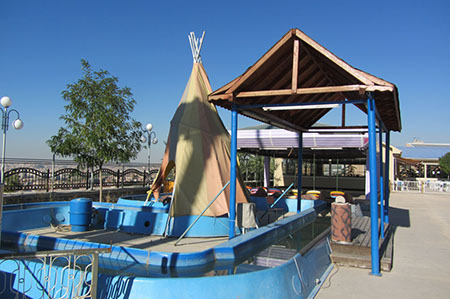 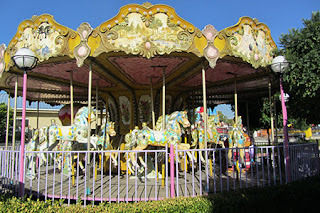 Guven Lunapark is one of several Turkish ride manufacturers. 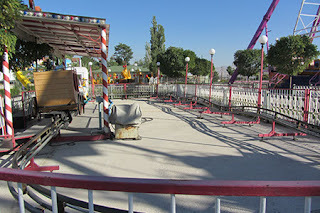 Now if a Pony Express coaster has track like this is it a powered coaster or not? 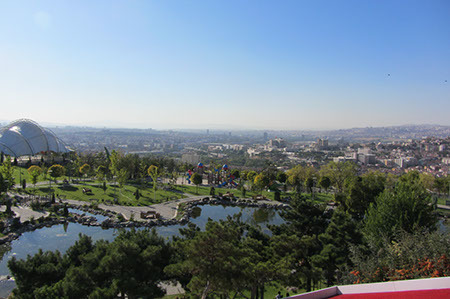 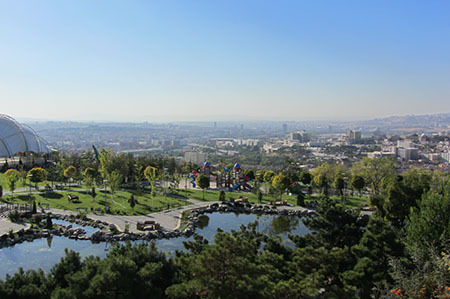 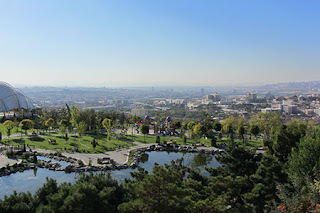 The amazing view over Ankara from the top.